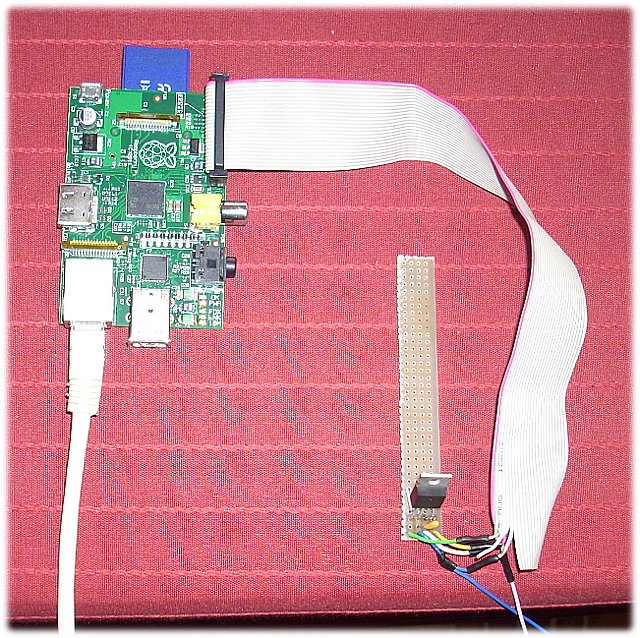 In my previous post I have connected a TC74 via USB to the Raspberry Pi. It works, but I consider it a waste because the Raspberry Pi has GPIO’s available. 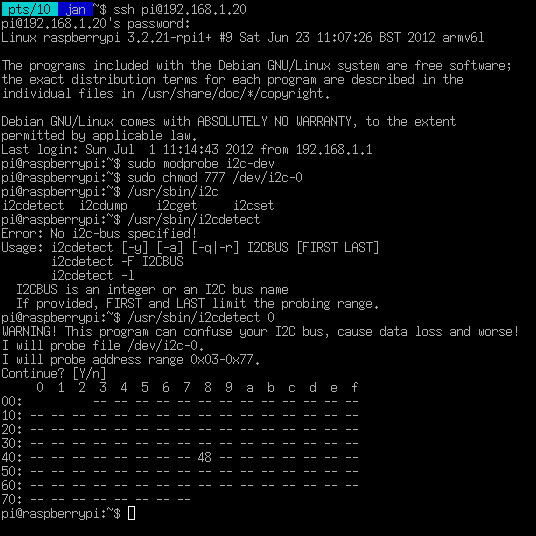 So, I have connected a TC74 directly to GPIO-0 & GPIO-1 of the Raspberry Pi. On the software side, I make use of the Debian Sqeeuze Image, but upgraded the kernel to Chris Boot’s Raspberry Pi Kernel. I have also installed i2c-tools. With i2cdetect I can see the TC74 on the I²C bus. And with i2cget, I can read the current temperature (hex) of the TC74.